The MSTW League Manager plugin manages multiple sports leagues, each with multiple seasons. 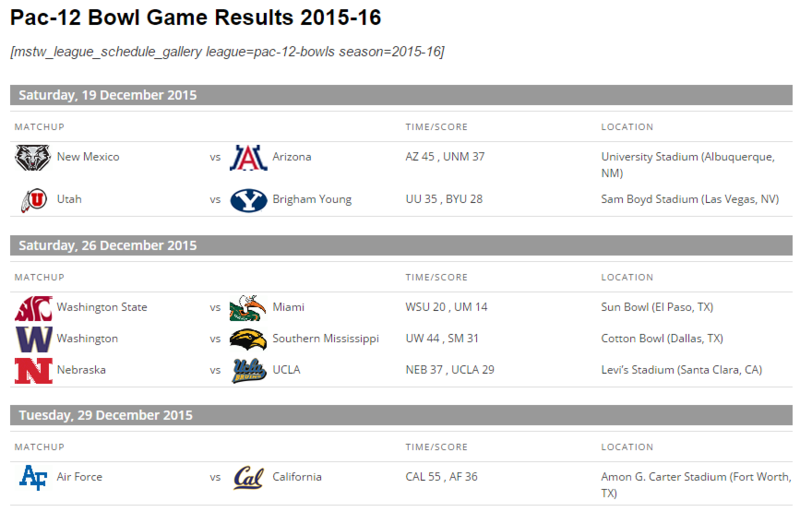 A “league” can be a league (like the Premier League or Pac 12) or a round robin tournament. (Tournament brackets are coming soon). Shortcodes are available to display league standings tables, league schedules, and individual team schedules. The font end displays can be formatted via a rich set of display settings. Displays may be further styled via the plugin’s stylesheet. Several examples of each front-end display are available on the MSTW Development and Test Site. The [mstw_league_standings] shortcode displays standings for a single league and season, or for multiple leagues that have the same season. 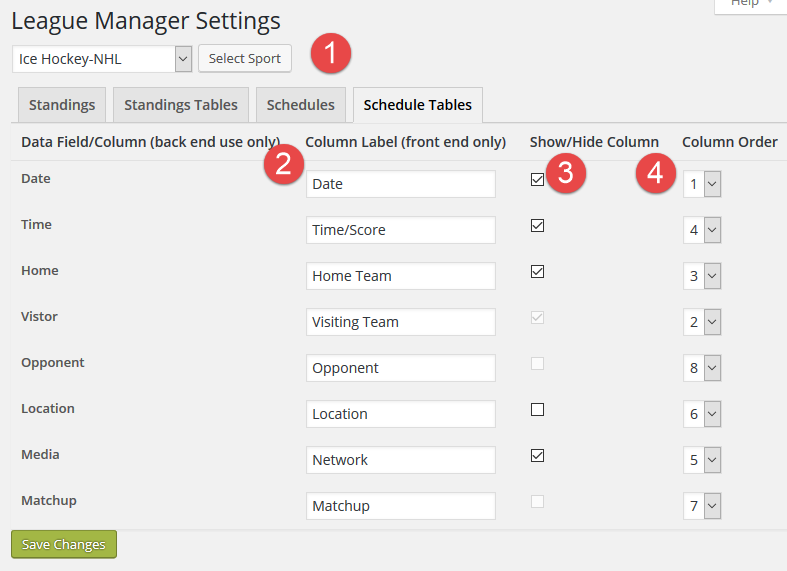 The Settings Admin screen allows the columns of the standings tables to be hidden, re-ordered, and re-labeled BY SPORT. Standings tables for NHL hockey are very different from standings tables for Premiere League soccer, for example. There are two ways to view league schedules, the [mstw_league_schedule_table] shortcode, and the [mstw_league_schedule_gallery] shortcode. The schedule tables can display schedules for a single league and season, or for multiple leagues that have the same season. The gallery format is a bit less flexible than the table format. Again, the Settings Admin screen allows the columns of the schedule tables to be hidden, re-ordered, and re-labeled BY SPORT. Schedule tables can also be somewhat different for different leagues. The [mstw_team_schedule] shortcode displays a schedule table for a single league and season.